As part of his residency and public talk, “Singapore’s Emerging Role as Asia’s Innovation Hub,” Poh Kam Wong reunited with Professors Stephan Haggard and Roger Bohn, whom he worked with previously on a comparative study of Silicon Valley and Singapore. While in San Diego, he also visited several local incubators and startups and led a discussion on utilizing an entrepreneurial mindset to solve social problems. Poh Kam Wong is a professor at the National University of Singapore (NUS) Business School and director of the NUS Entrepreneurship Centre. He is internationally renowned for his research on innovation policy, industrial and competition policy, as well as technology and entrepreneurship. Poh Kam has also consulted widely for high-tech companies in Asia, as well as international agencies such as the World Bank and Asian Development Bank and various government agencies in Singapore. 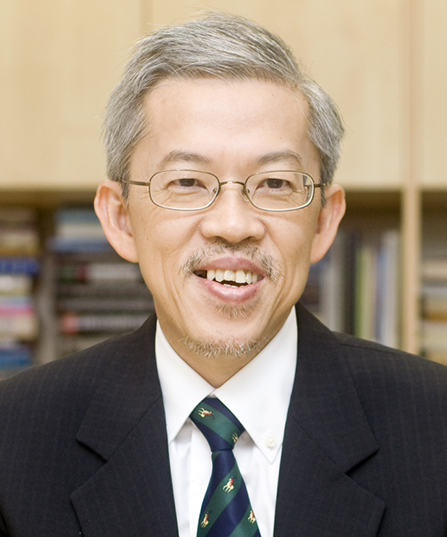 He was awarded the Public Administration Medal (Silver) by the Singapore Government in 2013. Poh Kam Wong is also a serial entrepreneur who has co-founded three companies. He is now an active angel investor and board member of several high tech startup companies in Singapore, China, Malaysia and Silicon Valley. Poh Kam Wong obtained two BSc.’s., an MSc. and a Ph.D. from the Massachusetts Institute of Technology. He was a Fulbright Visiting Scholar at UC Berkeley and a visiting researcher at Stanford University and KTH, Sweden.